Our new bi-fold sliding doors allow entire facades of your home to be opened giving the impression of almost ‘living’ in your garden. 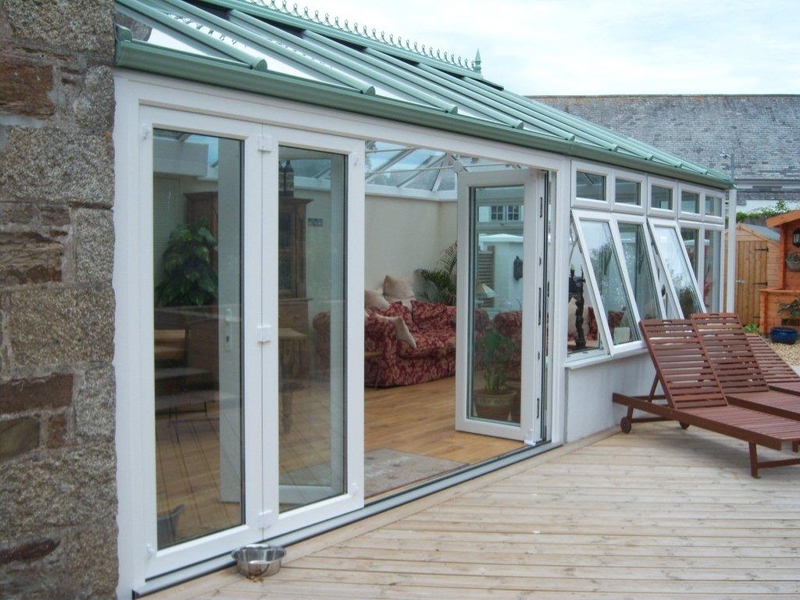 Few products can offer such a dramatic transformation, when opened they are slim and unobtrusive and when closed offer all the benefits of a modern doubled-glazed door. 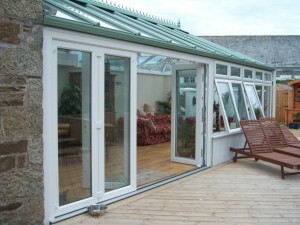 Open just one panel as an entrance or fold all of them back to draw the ambience of your garden into your home. 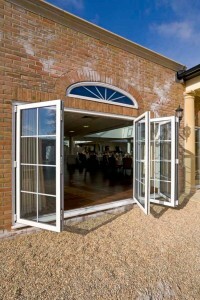 Doors can be stacked open at one end, or at both ends, or one panel can be opened like a conventional single back door or a pair of doors. You can choose the same colour for both sides, or a different colour for the side that faces into the room. 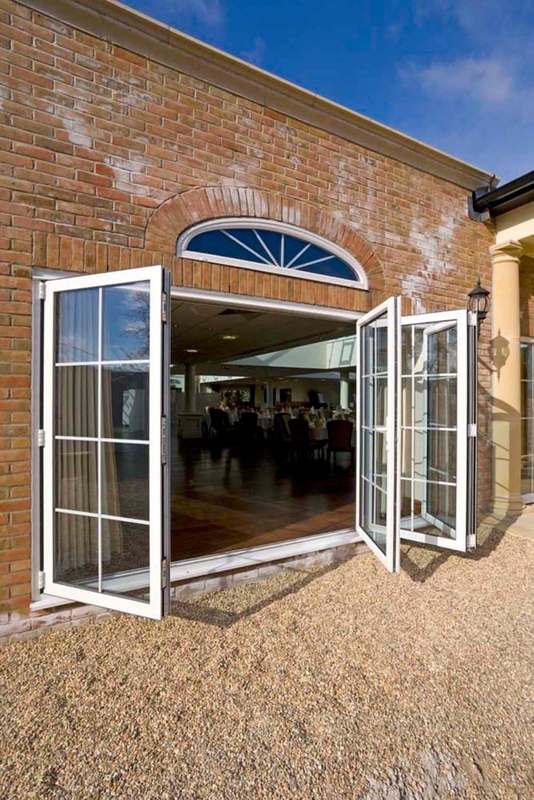 The bi-fold door system is built up using a frame in which movable parts or elements are placed in such a way that it is possible to fold up the elements to the left or right. These elements or leafs are supported and hinged to the next leaf. The top and bottom the leaf is supported by a roller mechanism which slides along a dedicated channel built in to the outer frame. There are many possible combinations of elements and opening schemes.